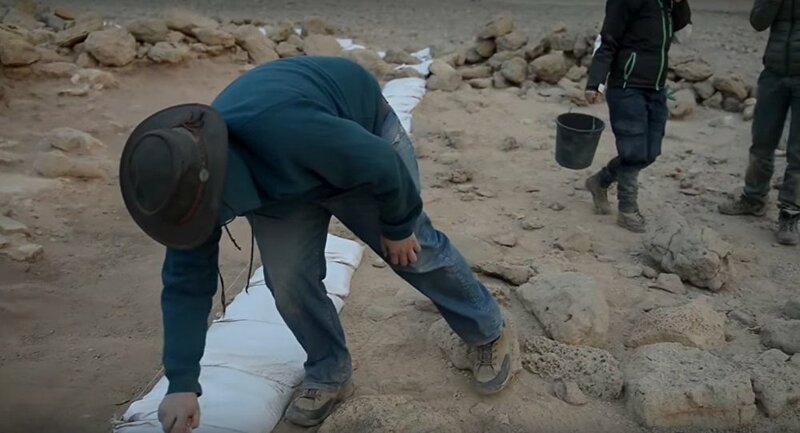 Researchers are reporting that the dry conditions of Israel’s Timna Valley have preserved structures that date back to the time of King Solomon. Archaeologists from Tel Aviv University believe the 3,000-year-old materials may have once been a part of a fortified gatehouse, and might give insight to the culture of that time. A sophisticated complex that includes donkey stables and copper-smelting camps indicates a reliance on long-distance trade and a highly-organized defense apparatus. The archaeologists say that the fortification dates to the time of Solomon and King David, in the 10th Century BCE. Their findings were published in the Journal of Archaeological Science: Reports. Dr. Erez Ben-Yosef, a researcher from TAU's Institute of Archaeology who helped lead the excavation and the research team at Timna, said, "While there is no explicit description of 'King Solomon's mines' in the Old Testament, there are references to military conflicts between Israel and the Edomites in the Arava Valley." The evidence does not conclusively prove that biblical battles took place at the site, but Ben Yosef offers that it helps to fill in holes in some historical narratives. "The historical accuracy of the Old Testament accounts is debated," Yosef said, "but archaeology can no longer be used to contradict them." Yosef was quoted by Australian media saying, "According to the Bible, David traveled hundreds of miles outside of Jerusalem and engaged in military conflict in the desert — striking down '18,000 Edomites in the Valley of Salt.' Now, having found evidence of defensive measures — a sophisticated fortification — we understand what must have been at stake for him in this remote region: copper." He also explained how important copper was to mitigating military threats. "Copper was a rare product and very challenging to produce…Because copper, like oil today, perhaps, was the most coveted commodity, it landed at the very heart of military conflicts. The discovery of the fortification indicates a period of serious instability and military threats at that time in the region," he said. Researchers also found evidence of trade system that may have included Judea, the northern Edomite plateau, and the Mediterranean coastal plain. The ancient two-room fortifications remain largely intact. Analyses of seed, fauna and plants taken from livestock pens in the complex indicate that animals were fed a diet of hay and grape pomace. Yosef remarked, "The gatehouse fortification was apparently a prominent landmark… It had a cultic or symbolic function in addition to its defensive and administrative roles. The gatehouse was built of sturdy stone to defend against invasion. We found animal bones and dung piles so intact, we could analyze the food the animals were fed with precision. The food suggests special treatment and care, in accordance with the key role of the donkeys in the copper production and in trade in a logistically challenging region."